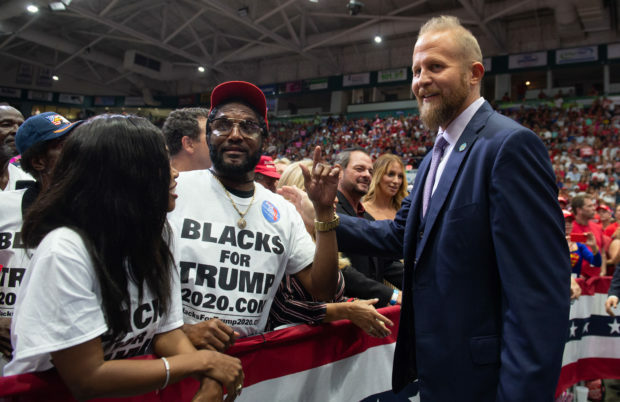 President Donald Trump’s reelection campaign reportedly has raised over $30 million during the first quarter of 2019. By contrast, the president’s top two Democratic opponents, Bernie Sanders and Kamala Harris, raised $18 million and $12 million respectively, and former President Barack Obama only had $2 million in his campaign coffers at this point in the 2012 campaign. Trump’s campaign reported an average donation of $34.26, with 99% of its donations being $200 or less, according to the AP report. In more good news for Trump’s reelection effort, the Republican National Committee hauled in an additional $45.8 million in the first quarter of 2019, totaling a combined $82 million already in the coffers to re-elect the president. Trump’s formal reelection effort began shortly after taking office in 2017. Trump’s fundraising with the RNC is divided between two entities: Trump Victory, the joint account used for high-dollar gifts, and the Trump Make America Great Again Committee, the low-dollar digital fundraising operation known internally as “T-Magic.” The campaign is set to launch a traditional “bundling” program — which it lacked in 2016 — in the coming weeks. Bundlers are mid-tier donors who bring in contributions from their associates. Together, the Trump entities have raised a combined $165.5 million since 2017. Republicans are reportedly closing the long-existing gap with Democrats in online fundraising with the help of Parscale, the campaign’s former digital media director.